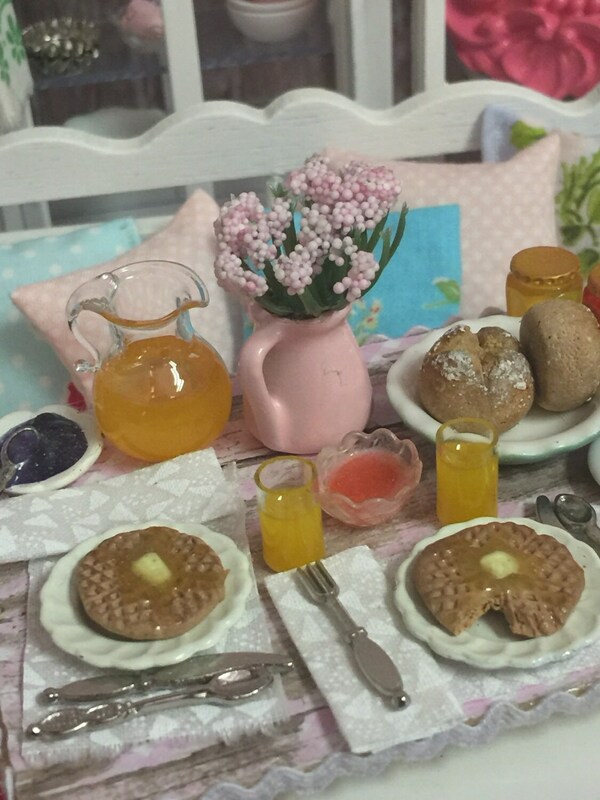 Breakfast waffles, juice and Breads. 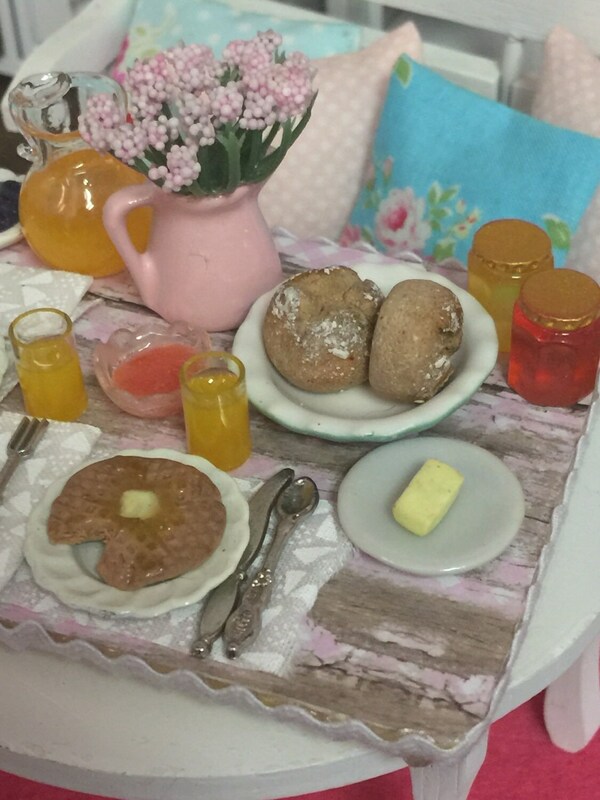 This miniature board is covered in distressed pink paper lined in tiny white Rick rack. 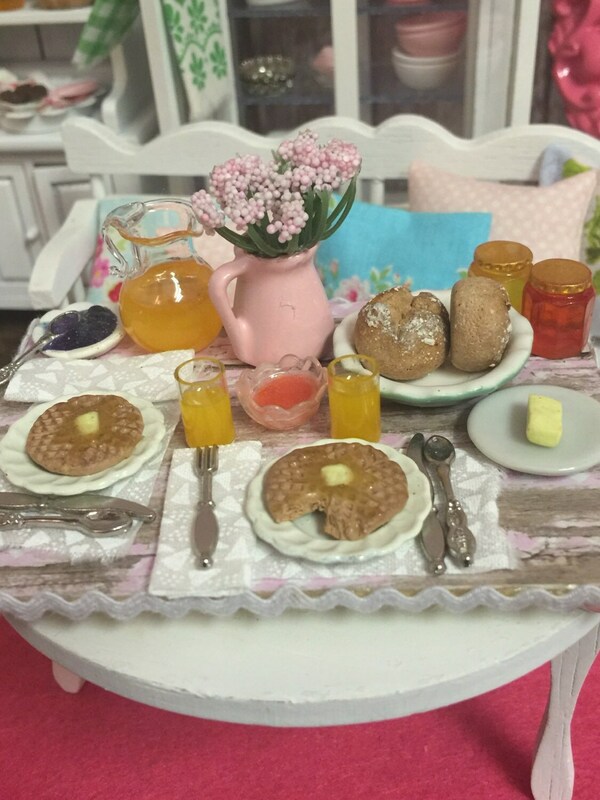 The board has handmade waffles and syrup(polymer clay) fresh baked breads, butter and jams. 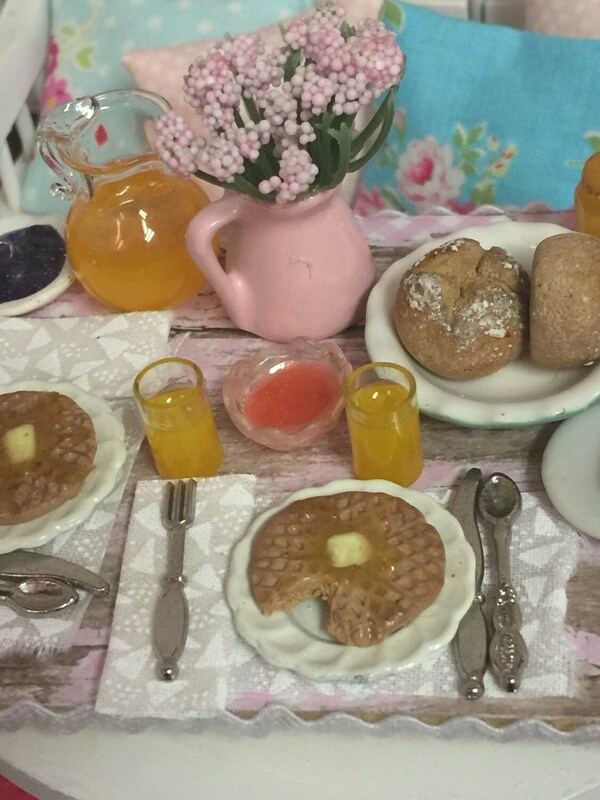 Juice and flowers and you can serve breakfast to little guests! Items are loose and can be rearranged. Not for children. Board is approximately 3" long. 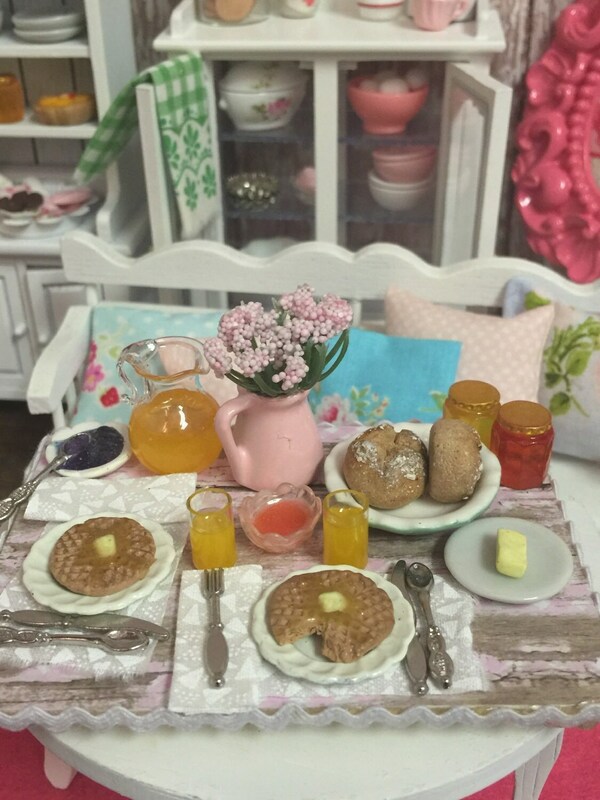 Table is not included.